After a few teases and an official Electronic Arts confirmation, District 9 director Neill Blomkamp has released his Anthem short, Conviction. The live-action short just went live on the YouTube channel for Blomkamp’s independent studio, Oats Studios, and runs a little under four minutes in length. Those interested in taking a look at the director’s vision of Anthem can do so in the video featured above. Yet, embedded within this tale is another, one about a woman who mysteriously appears in the jungle patrolled by Anthem’s Freelancers. Who she is, how she became lost, and why she suddenly turns up serves as a mystery presented in Conviction, and left unanswered. Whether or not this will receive further exploration when the game launches remains to be seen. One thing appears abundantly clear by the end of Conviction, however. There is more to the mystery woman than meets the eye, especially since it seems the villainous Monitor is interested in finding her. Perhaps players will get to learn the truth for themselves soon. 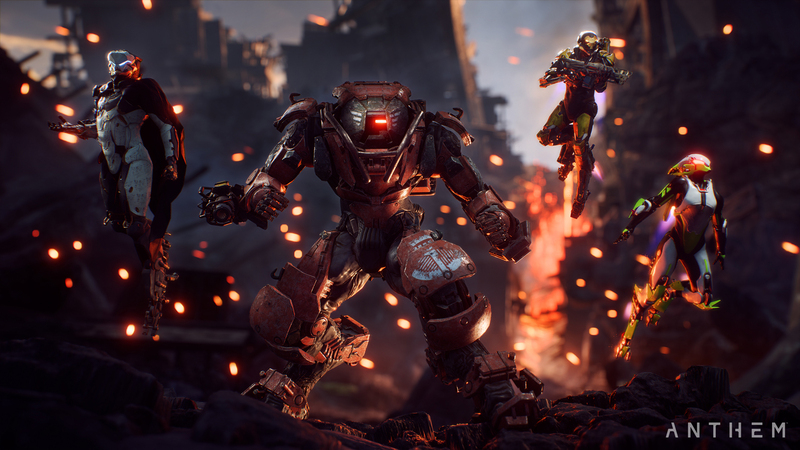 Anthem is due to release for the PlayStation 4, PC, and Xbox One later this month on February 22nd. If you want to preorder Anthemhere, you can do so .